Well, it's about that time again, yes it's TEAM GB time! First we had the Diamond Jubilee, when I gave you all a great deal of red white and blue Barbour Heritage to get you and your patriotic wardrobe through that long weekend. And now the time has come to dig out those colours once again, this time not for Queen Liz (GSTQ! ), but to support the whole of beautiful Blighty! 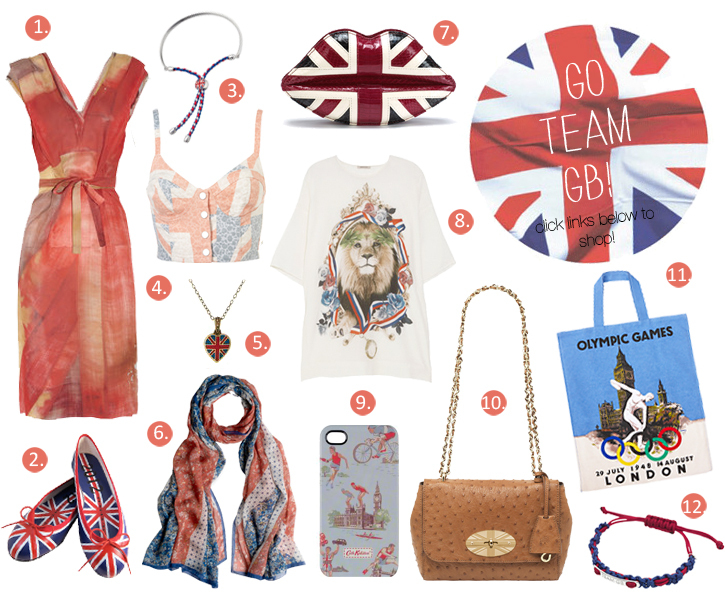 It may not be ethnic inspired, and, no, if you aren't British you'll be clicking right off this here page and on to some more country specific colours, but for all of you Brits out there, here's some inspiration to get you pumped with some TEAM GB winning spirit style, ready for this Friday's Opening Ceremony. Let the games begin!